Do I Have Hail Damage? Our area recently experienced some hail. Car and home windows were broken, air conditioner systems were damaged, and roofs were pitted, among other damage. 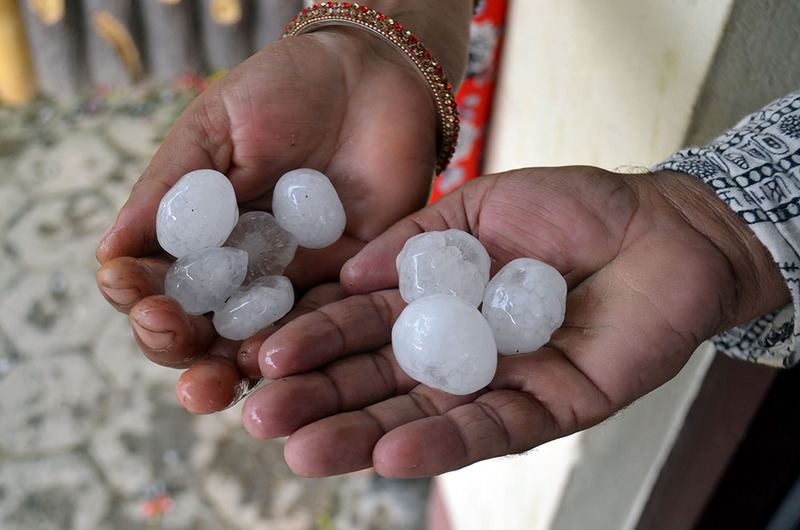 After hail hits, your first question will probably be whether or not you should call your insurance company. Start by taking a look around your property. Let me say that I do not recommend that you climb on your roof unless you are especially secure in your ability to do so. It is may be fairly easy to get on but, for many it is difficult or even dangerous, to climb off. Also, it takes someone with experience to identify hail damage versus, for example, hail that has simply knocked off some algae. There are ways at ground level that you can get an idea as to whether or not you have hail damage. Start by looking at your downspouts and gutters. Run your hand up and down them. Do you see or feel any dents? What about the plastic trim around your windows? Is it still intact or do you see chipped or missing pieces? Does your driveway or gutters have any aggregate (granule) run-off? What about “hits” on your fence? Generally, you will see more than one of these indicators if you have experienced hail damage. If you see none, it’s unlikely you have any. Still, if your neighbors have insurable hail damage but your insurance adjustor says you do not, it’s a good idea to call a reputable, experienced roofing contractor to take a look. It’s important that you call someone who has a reputation for honesty because there are companies who will damage your roof by trying to “create” hail damage with tools such as hammers. Also, not all, but certain roofing salesmen will take any opportunity to get your insurance adjustor on the roof in an attempt to brow-beat or strong arm them into paying- usually unsuccessfully – while wasting your time, too. At Colony Roofing & Exteriors we never operate in this manner. If you don’t have damage, we will tell you. If you have damage, we will be happy to meet with your adjustor to help you settle your claim. We have worked with insurance companies for many years and they have come to know and trust us. Colony Roofing & Exteriors is a proud recipient of multiple Angie’s List Super Service Awards. We have been locally owned and operated for almost thirty years. 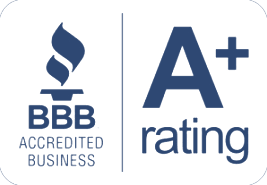 We also have an A+ rating with the Better Business Bureau. 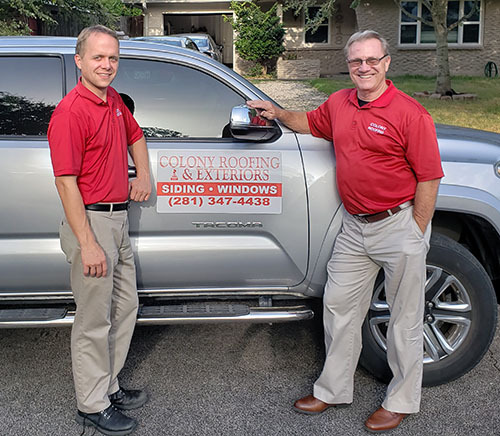 Give us a call and let us make you another satisfied Colony Roofing and Exteriors customer! Angie's List is free to join!